Air101: Could there be another grounding on the way for Boeing? Is there another problem on the horizon for Boeing? 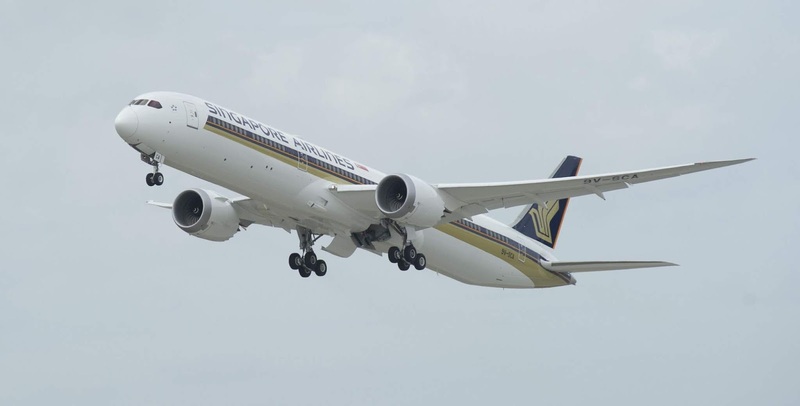 Singapore Airlines has been forced to ground two of its ultra-modern Boeing 787-10 aircraft because of issues with the engines the carrier has confirmed. The airline says that “premature blade deterioration was found on some engines” of the latest additions to its fleet, the Boeing 787-10. This unexpectedly early deterioration was found at recent routine maintenance inspections according to the airline, who instantly took the decision to ground the aircraft and wait for engine replacements. 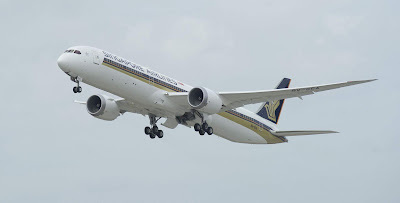 Singapore Airlines said it was consulting with the makers of the engines, Rolls-Royce regarding the issues found as well as talking with the relevant aviation authorities on the next steps and any future precautionary measures needed. The aircraft are fitted with the Rolls-Royce Trent 1000 TEN engines, which are the next generation of the Trent 1000 engines which have had premature blade cracking issues, the latest issues are of a similar nature. The airline became the first carrier in the world to operate the Boeing 787-10 aircraft just over a year ago. This new issue with the engine parts is particularly worrying as SIA has ordered 49 of the type. "It is an honour for us to be the world’s first airline to take delivery of this amazing aircraft. The 787-10 is indeed a magnificent piece of engineering and truly a work of art." said SIA CEO Mr Goh Choon Phong at the delivery event on March 26th, 2018. So far SIA has been the largest customer for the 787-10. The 787-10s feature SIA’s new regional cabin products, configured with 337 seats in two classes, featuring 36 Business Class and 301 Economy Class seats. The aircraft are usually scheduled to operate services to Bali. 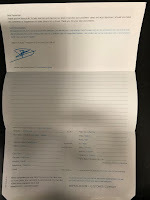 Bangkok, Delhi, Fukuoka, Ho Chi Minh City, Manila, Nagoya, Narita-Tokyo, Osaka, Perth and Taipei, Taiwan. The airline said that it would operate replacement aircraft on the affected routes, however, some aircraft would be smaller and have less capacity which may mean some passengers have their travel plans altered. "We regret the inconvenience caused and sincerely apologise to customers whose travel plans are affected, and seek their understanding." an airline spokesperson said. Rolls-Royce has issued a statement that stated it had "been sampling a small population of the Trent 1000 TEN fleet that have experienced a higher frequency of flights at the upper end of their operating range. This work has shown that a small number of these engines need to have their blades replaced earlier than scheduled." "In anticipation of limited turbine blade life, our engineers have already developed and are testing an enhanced version of this blade. We will now work closely with any impacted customers to deliver an accelerated programme to implement the enhanced blade and to ensure that we can deliver on our Trent 1000 TEN future commitments." The engine-maker says it regrets any disruption caused to airline operations but is it enough? Could these early cracking blades pose a potential danger, particularly to those airlines operating long-distance flights on the 787-10?